My favorites from last week... little Stanley going for a walk in the wide world, Adair & Ingrid in the strawberry patch and bubbles + baby at the Bostrom Blog. This is where the sidewalk (and street) end. 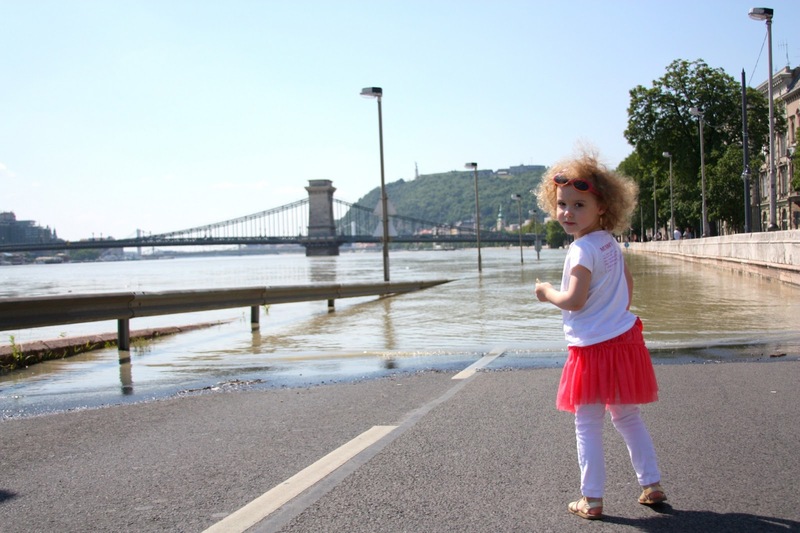 The Danube is spilling over its banks and onto the streets. Like most children in the city, Claudia was cautiously curious. Here is hoping the sun holds up and there is no more rain. Paddy. I can dress him up, but I can't keep him clean. 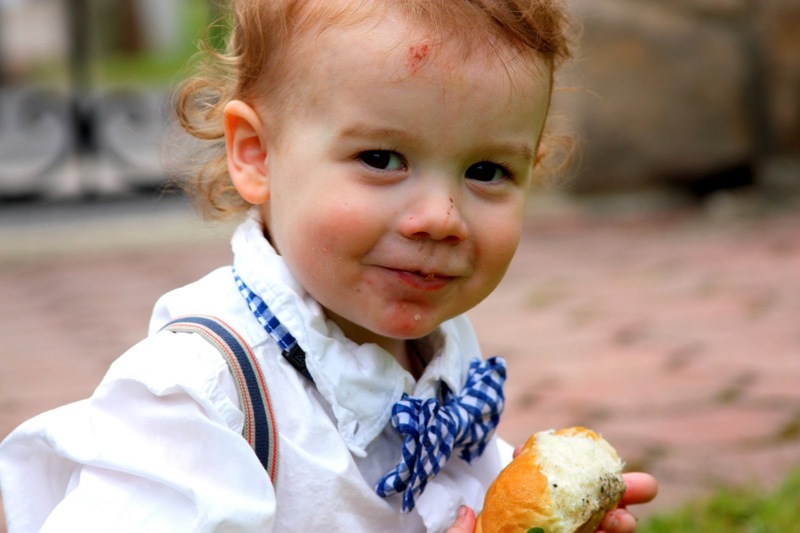 =) He was all spiffed up for a party and within a few minutes of playing outside he was scraped up, muddy and eating a bun he had drug through the dirt. Paddy, Paddy, Paddy. And no haircut yet... I just can't. An adorable girl and a typical (& also adorable!) boy! I don't blame you, those curls are darling! All girl and all boy! Love it, and their hair!! Images remind me of when Brisbane flooded two years ago. Love the cheeky over the should look from Claudia. Leave those curls!!!! My husband is forever at me to get the "mullet" of our Hugo cut, I just can't do it yet. Such great photos.